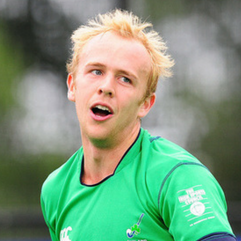 Eugene is an Irish Hockey international born 1st April 1986. The Quantity Surveyor is the first Ulsterman with over 200 Caps for Ireland and was also a member of the history making Ireland team who made to Rio Olympic Games, the first Irish team to do so in over 100 years. In qualifying for the Rio Olympics Eugene helped Ireland to a bronze medal, Ireland's first ever elite level medal.